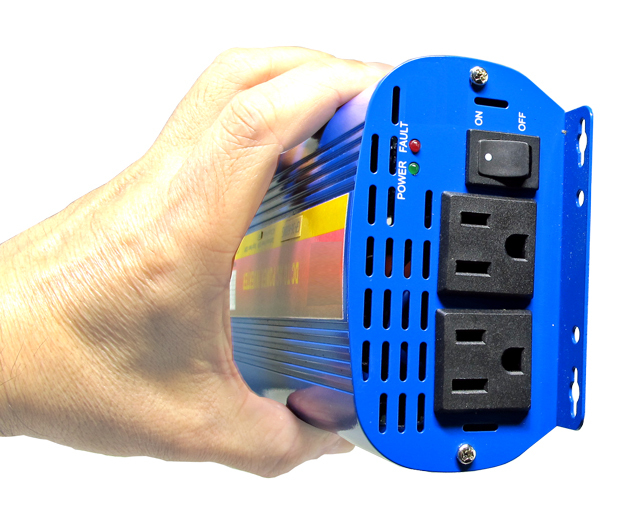 Power any device anytime, anywhere by using its own AC power adapter. 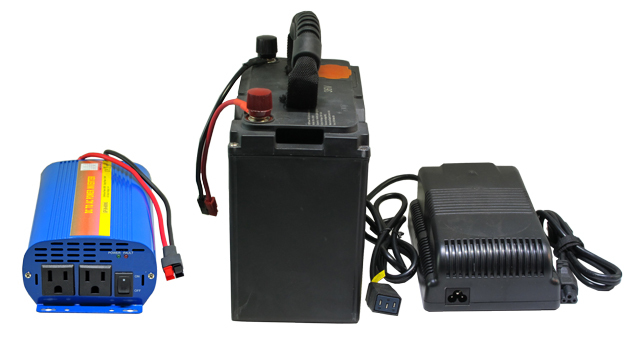 This power station comes with a 36V 29Ah (1044 Watt-hour) super high capacity light weight rechargeable lithium ion battery and a 600W power inverter that converts the battery power to 110V AC power. 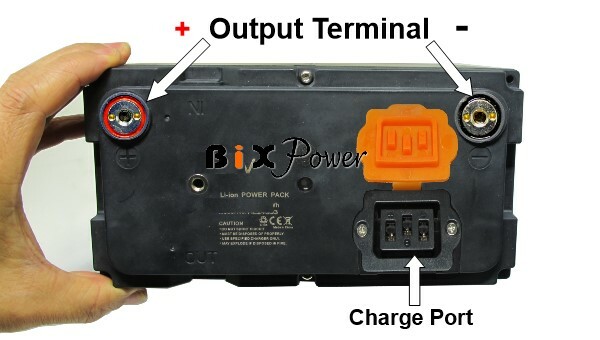 Just link the power inverter to the battery, then plug your device's AC power adapter to the power inverter. 1. 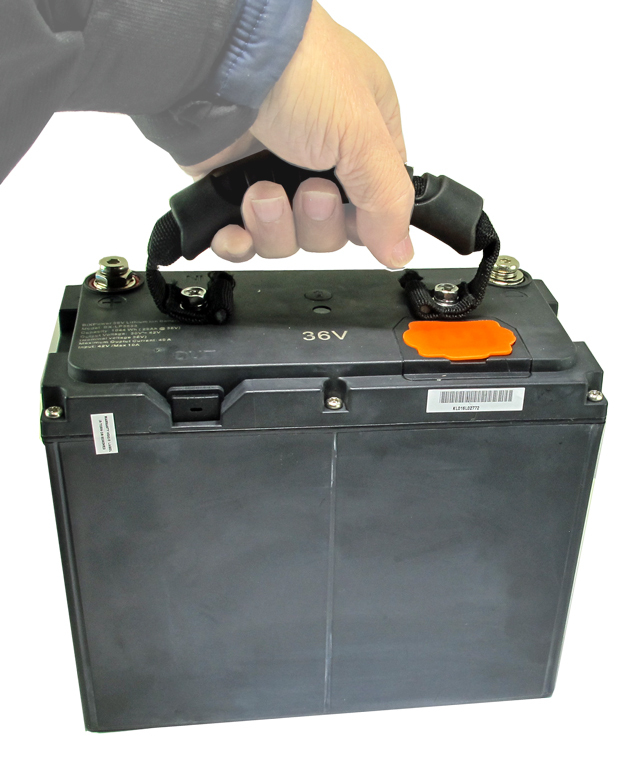 Heat is the worst enemy of lithium ion batteries. The AC inverter may generate a lot of heat. 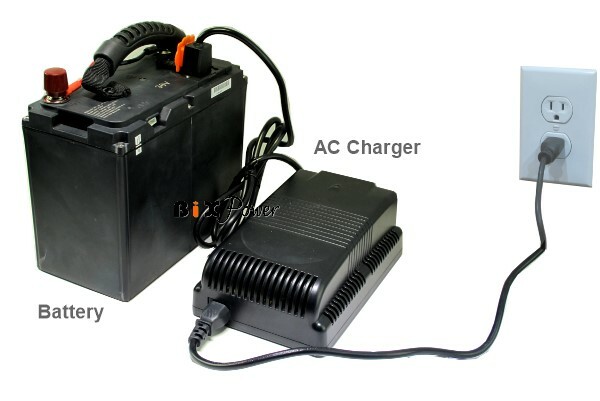 If you integrate the battery with the AC inverter in one unit, the battery will work in a hotter environment. This will reduce battery life time and also cause some safety concerns. 2. 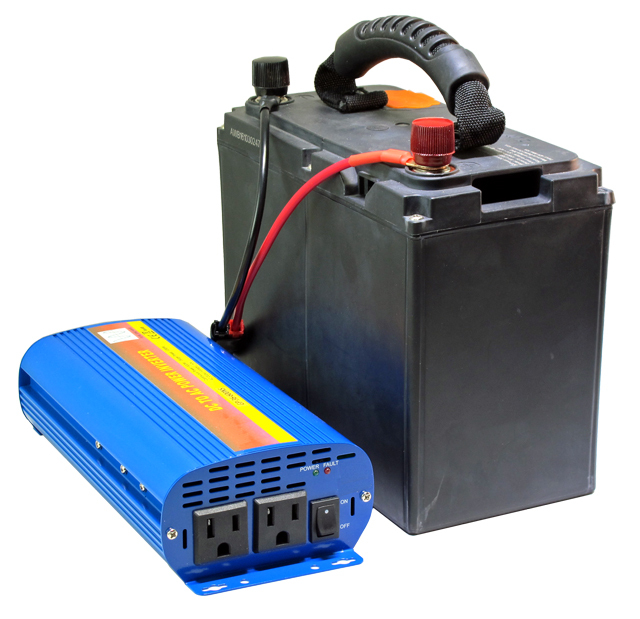 When the battery and inverter are two separate units, it will be much easier to replace/upgrade either one. 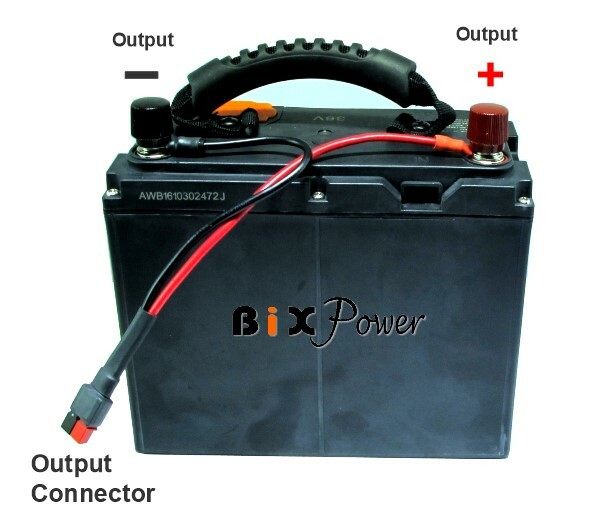 The power inverter converts the battery's DC power to 110V AC power. It has an universal AC output socket that can accept any style of AC plugs. 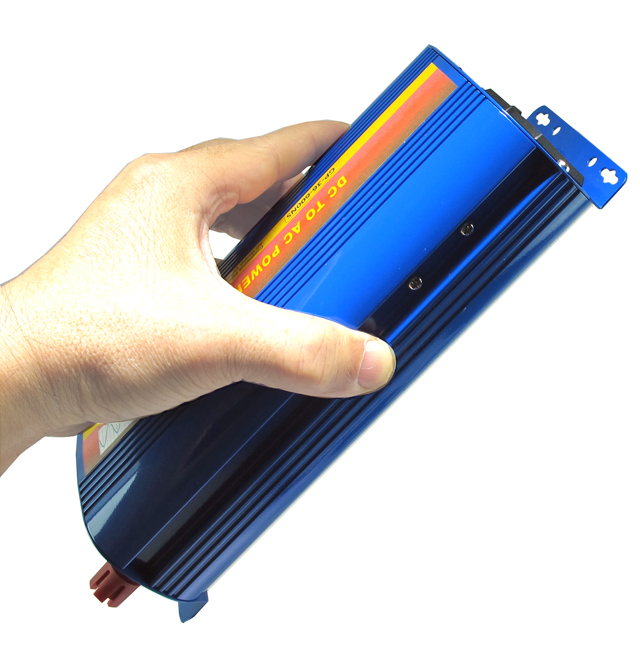 The inverter's total continuous output can be as high as 600W. Its output wave form is pure since waves. 3-hole AC socket which accepts both 2-pin and 3-pin AC plugs. 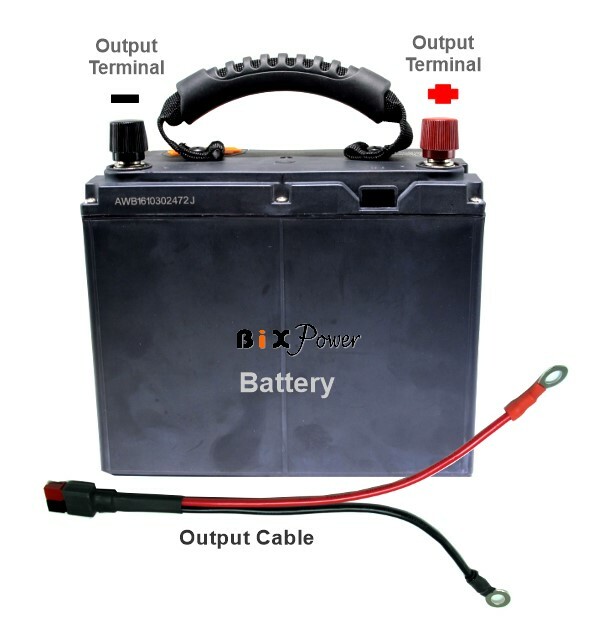 The inverter's connection cable has one end that is two ring connectors that can be easily connected to inverter input terminals. The other end is a Anderson Powerpole connector that can be easily connected and disconnected with the battery output cable. Smart cooling fan : The cooling fan will only work when it is needed. b) Inductive loads like microwave ovens and motors run faster, quieter and cooler. c) Reduces audible and electrical noise in fans, fluorescent lights, audio amplifiers, TV, Game consoles, Fax, and answering machines. d) Prevents crashes in computers, weird print out, and glitches and noise in monitors. 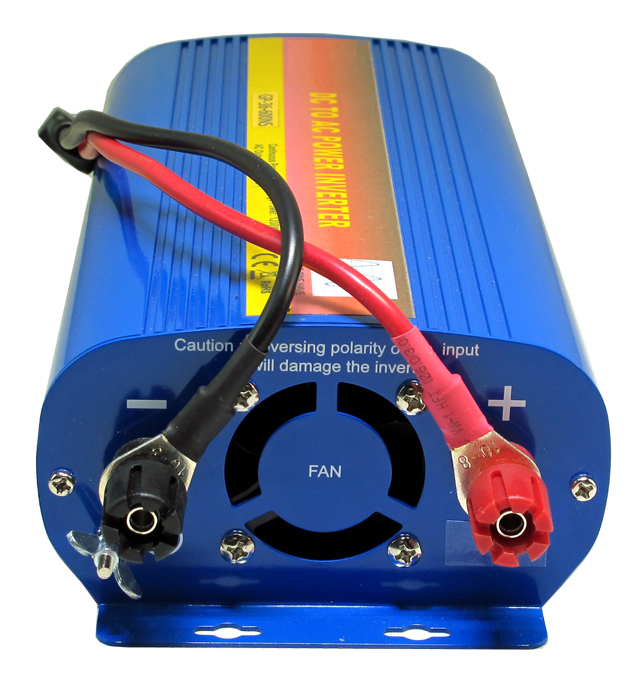 Compared to traditional inverters, which output modified sine waves, this inverter outputs AC power in pure sine waves, making it more similar to commercial power. Electronic appliances run cleaner, cooler, and quieter when running on pure sine power. As a result, pure sine inverters save energy costs and extend the life of appliances. The pure sine inverter also reduces electronic interference, making it a better alternative for operating sensitive audio/video equipment and medical devices. Appliances with dimmers, speed controls, and certain battery chargers may require pure sine power to operate. Pure Sine Inverters are designed to increase the efficiency and running time of electronic appliances and motors. Our Inverters operate at less than 3�5% of Total Harmonic Distortion (THD) on average and 90% efficiency across the line. 3. 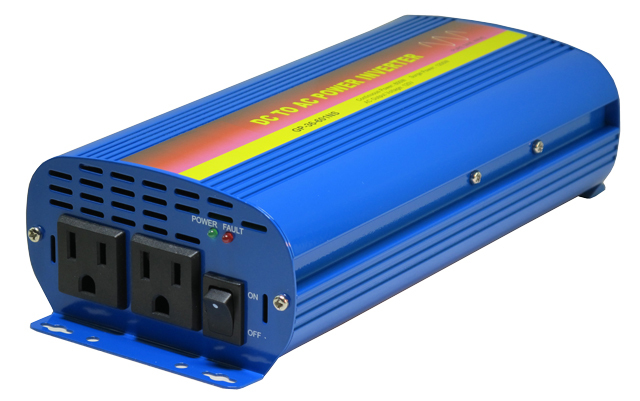 One 600W 110V Pure Sine Power Inverter.